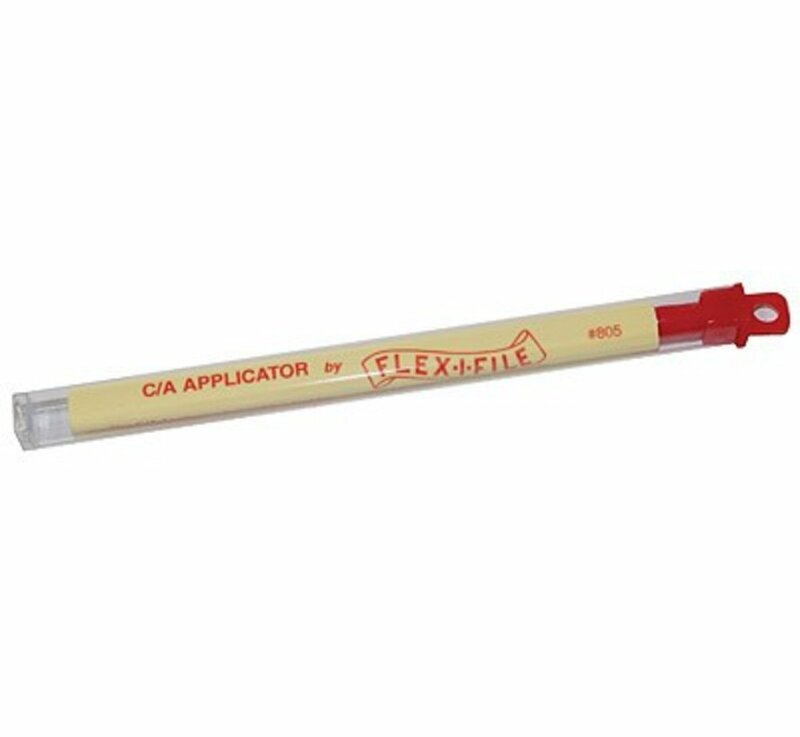 The C/A Applicator Tool is a unique device for applying Cyanoacrylate Cement. 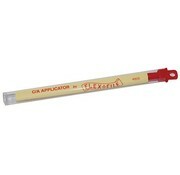 To use this tool hold the C/A Applicator in one hand, and dip the double pronged tip into a small puddle of C/A Cement. The C/A Applicator will pick up a small amount of C/A Cement and apply it where you want it! To clean the C/A Applicator wipe off the tip with a paper towel or a piece of cloth a small amount of acetone will also help. If the C/A Applicator becomes clogged or has a build-up at the tip, a small hobby knife will remove it.